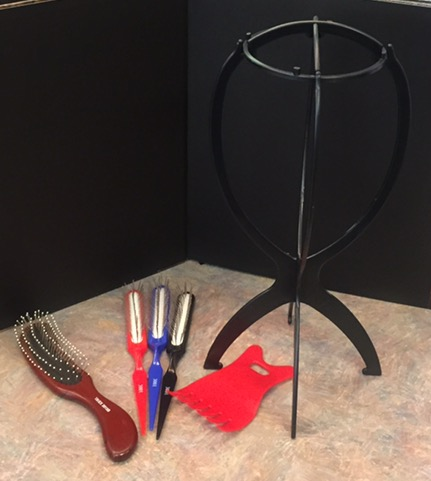 We offer several products and accessories for total wig care. Our products range from shampoo and conditioner all the way to sew-in clips and wig caps. 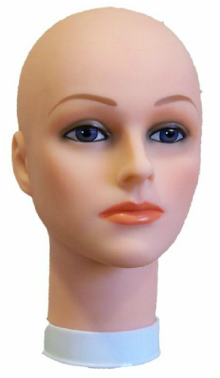 Human Hair wigs and hairpieces purchased from Kim's Wig Botik are of the highest quality available on the market. When caring for a human hair piece, it is best to treat it with plenty of tender loving care. This will ensure the longevity of the piece as well as maintain the luster and bounce known as the hallmarks of human hair. If you choose to maintain your piece yourself it is vital to use high quality products. 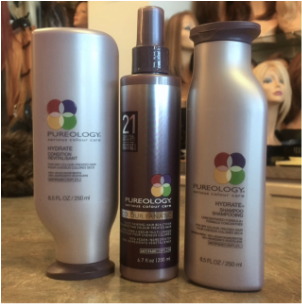 We carry Pureology Hydrate shampoo and conditioner, as well as Color Fanatic spray for color and thermal protection. For step by step care instructions please visit our Wig Care Instructions page. It's extremely important to purchase the correct washing products and materials to maintain the vitality and freshness of your synthetic wig. The right shampoos and conditioners can help your wig last longer and remain natural looking. 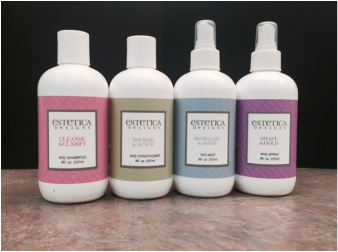 We carry special shampoo to help maintain the integrity of synthetic wigs. We have several products that will help maintain the youthful integrity of your wig.